You may discover that following your calling may mean completely changing your life. You have to be prepared for that. Discovering your calling may be hard but pursuing it may be even harder. If you find that your calling is creating quilts, you can do that on the weekends and in your free time. You can even set up a part time business and sell your creations. However, if your calling is sustainable farming, it can be tough to effectively do that part time and on the weekends. You may have to leave your full time sales job and become a sustainable farmer. It may be tough to tell your family that you want to move them from the city to a plot of farmland in the country. But if that's your calling, you have to do it. You should take some time and sit with that. I'm not just talking about deciding you want to apply for a new role at the company where you work. I'm talking about discovering your purpose and being prepared to move on that discovery. You should let that marinate in your brain and recognize what that really means. You should also recognize how important it is that you do this. While you're letting the thought of completely changing your life swish around in your brain, let's discuss perspective. I realize that I may have introduced some ideas you'd never seriously considered before. 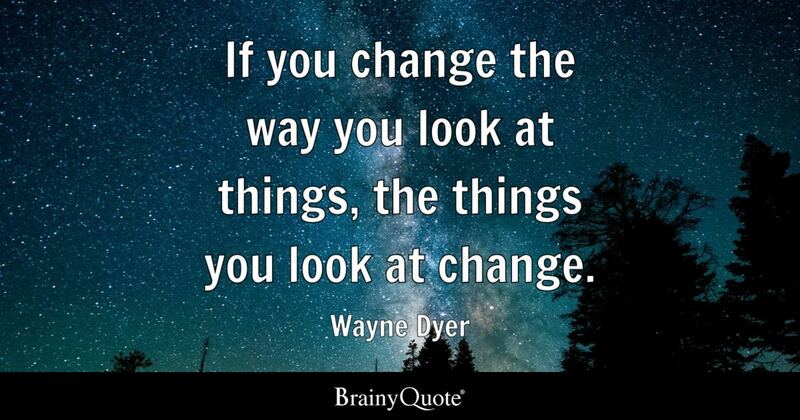 I'm asking you to be open to a change of perspective as it relates to your life overall. Yes I realize that I'm asking a lot but this new book is about stepping outside of your comfort zone and pushing your limits. That means considering that your current way of thinking should be changed. You'll finally be able to get out of the rut and achieve the success you deserve no matter what your goals are.